Twist Mop Feature: Stainless steel rod, durable; automatic cleaning and drying function; mop head material is diverse, different materials have different functions. What is a twist mop? The twist mop is a new type of mop that is different from the traditional mop. By the principle of the centrifugal force generated by the rotation, the mop is dried like a washing machine in a washing machine with a little manpower. 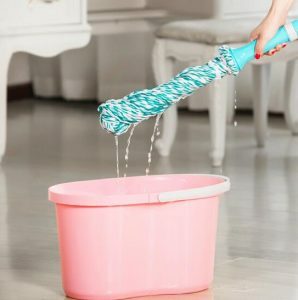 Twist mop is easy to use, light and flexible, easy to clean, hands are completely free of dirt, away from stains and sewage, even ground debris is easily attached. 1. The new dehydration device is also based on the ergonomic design principle, and can also control the dryness of the cloth strip. Unique cotton fiber, water-absorbing and decontaminating, anti-bacterial and anti-bacterial, and will not scratch various floors. It’s easy to make you beautiful, fast, comfortable, healthier and more reasonable. 2. The patented design of the new twist mop head that can rotate 360 ​​degrees arbitrarily. The latest washing device, gently pressing, cleans the cotton head easily and reasonably. It also does not scratch the delicate surface of a wide variety of floors or other clean surfaces. 3. Unique twist and drying function, easy to keep the mop clean and tidy. Twist mop is a new type of mop that can overcome the shortcomings of all mops in the past, and it is light and easy to handle, easy to clean, no stains on both hands, away from stains and sewage, and even ground debris is easily attached; Twist mop has Super absorbent, rotating bucket with the dehydration bucket, using the principle of centrifugal force, as long as the pedal is light, you can quickly smash the water! 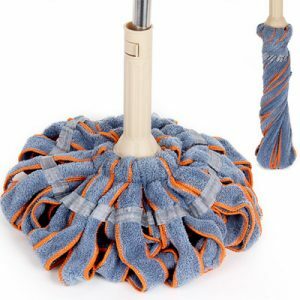 The mop head of the twist mop is made of special microfiber, and the super absorbent performance ensures that there is no water stain on the mopping floor. 1. After use, be sure to wash it thoroughly and wring it out to keep it ventilated to avoid odor and odor. 2. When the mop has an odor, use diluted bleach to clean the mop. 3. When there is hair on the mop, you can use the brush to help clear it or wait for it to dry and then stick it with tape. 4. The mop with finer material is less suitable for the ground stain of heavy grease, which is not economical and easy to wear and use the mop. 5. To keep the home clean and hygienic, the mop head is recommended to be replaced every two to three months. 6, With the use of detergent, the amount can not be too much, otherwise it is easy to residue, affecting the life of the mop. Choosing a twist mop is an extremely important choice for the family. The facade of the floor is almost completely controlled by it. Grasping the basic principle and using the mop will become a family help. In order to facilitate the next time, you should also pay attention to cleaning and maintenance after using the rotating mop to maintain the mop life. 1, The handle is easy to take off and not easy to fall off. 2, The mop cloth has good water absorption. 3, Wipe the mop material does not drop debris. 4, The mop is easy to wring dry water is not labor-intensive. 5, The mop is easy to remove dirty and does not stick to dirt. 6, Different needs to choose different functions. 7, Home space storage does not occupy a place. 8, A small number of high-end rotary mop, with a labor-saving transmission device.